Even as I right this I haven't yet figured out entirely what a chutney is - so let's figure this out right now. American and European-style chutneys are usually fruit, vinegar, and sugar cooked down to a reduction, with added flavourings. These may include sugar, salt, garlic, tamarind, onionor ginger. Western-style chutneys originated from Anglo-Indians at the time of the British Raj recreated Indian chutneys using English orchard fruits — sour cooking apples and rhubarb, for example. They would often contain dried fruit: raisins, currants and sultanas. So I ended up making two chutney's this week. 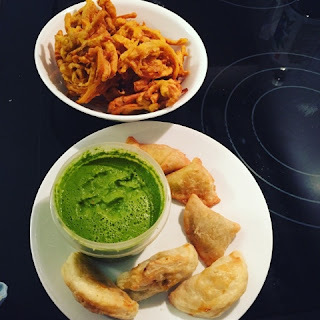 The first was a result of watching a video of Chef Jet Tila and Chef Simon Majumdar (often seen on Cut Throat Kitchen - click here to watch the video) I was very interested in trying out both recipes especially in light of my findings at Young's with the fresh herbs. 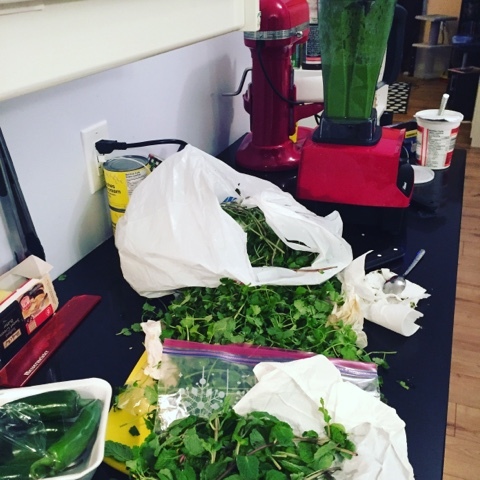 Place all of the ingredients in a blender - for the cilantro use the entire cilantro leaves and stocks. Run until the mixture is smooth and there is bits or pieces left. I did post a picture of this on Instagram saying I was going to use it the next day and I was told it gets better and let me tell you it does! I then had a request from the husband to make something that he had been missing. He went to visit the book store and of course was looking through cook books (watch for my next set of books). 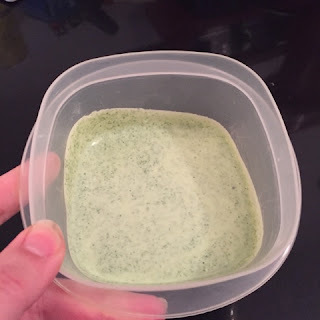 In any event he found a recipe for Mint and yogurt chutney which I made in anticipation of some other dishes that I was going to attempt. - Put all of the ingredients in a blender and whizz up to mix. Taste and adjust the seasoning and consistency, adding salt, sugar and water as needed.